The Country Music Marathon and Half Marathon presented by Nissan runs through Nashville the morning of Saturday, April 30 and the music industry is pitching in to make it even more memorable. 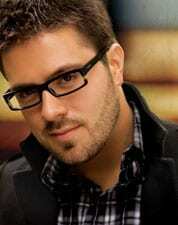 RCA’s Danny Gokey has signed on to sing the national anthem before the start gun at 7 am. He will also be helping raise awareness for Sophia’s Heart, a non-profit organization started in honor of his late wife. While Gokey was on American Idol viewers learned the tragic story of his wife Sophia, who had passed away only four weeks before he appeared on the show. Numerous celebrities and industry people will participate, including the members of Diamond Rio (running for their Team Rio charity), TobyMac, and GAC’s Suzanne Alexander. Sanctuary Management’s Zac Koffler is running the race to benefit ABLE Youth, a Nashville-based wheelchair sports and independence group. His race will include pushing three children in three shifts through the entire marathon. Once all the participants have napped and recovered, Montgomery Gentry will provide the post-race concert later Saturday evening at Bridgestone Arena. See information about the race, including road closures, at nashville.competitor.com.